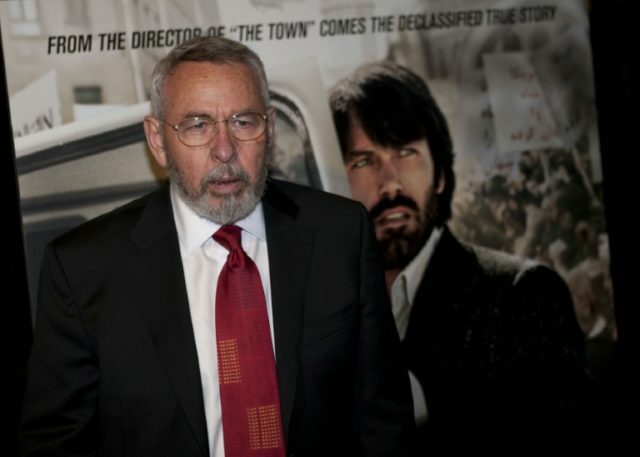 Washington (AFP) – Former CIA agent Tony Mendez, who engineered a creative way to smuggle US hostages out of Iran in 1980 and was immortalized in the Hollywood film “Argo,” died of complications from Parkinson’s Disease, his family said. He was 78. Mendez, who will have a private burial in Nevada, died on Saturday, his literary agent Christy Fletcher said via Twitter, relaying a family statement. “The last thing he and his wife Jonna Mendez did was get their new book to the publisher and he died feeling he had completed writing the stories that he wanted to be told,” the family statement read. It added that Mendez had been suffering from Parkinson’s for the past 10 years. When Iranian revolutionaries seized the US embassy in Tehran in 1979, a handful of diplomats managed to escape through a back door and took refuge at the Canadian embassy. Mendez, a specialist in covert operations, came up with an original plan to rescue them: set up the production in Hollywood of a faux science fiction movie titled “Argo,” travel to Iran to scout out locations, then return to the United States with the hostages masquerading as the film crew. The six US diplomats, armed with fake Canadian passports, slipped out of Iran and to safety on January 27, 1980. The story served as inspiration for the film “Argo,” which won three Oscars in 2013 including for best motion picture. Fifty-two other Americans were not as lucky, and were held hostage by the Iranian revolutionaries for 444 days.